There are a number of advantages to booking direct: Many resorts, hotels, and lodging businesses do not list their best rooms on major online booking sites, and some even hold back rooms and availability for travelers who book directly with them. Also, if you need to make a change to your reservation or have a special request or a particular accommodation, that transaction is likely to go much more smoothly if you're dealing with the business directly instead of through a third party. 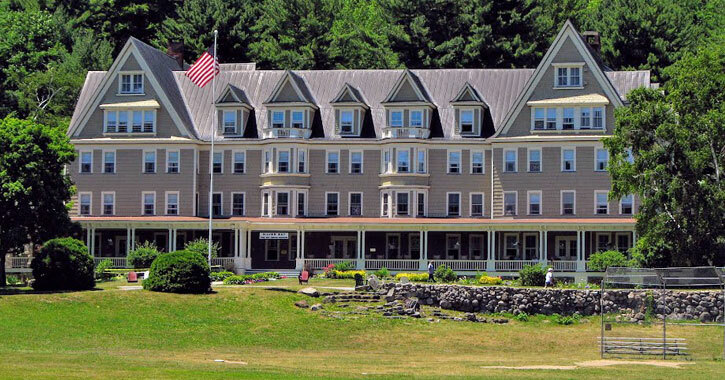 Find out where these incredible lodging properties are located - some are right in Lake George, and others are very close by in Diamond Point, Bolton Landing, Hague, and beyond. O'Connor's Cottages is located just 2.5 miles north of the Village and is right on the lake. Got a boat? They have dock space! The cottages also include modern, fully equipped kitchens and they have a private beach available for your use with stand up paddleboards, kayaks, rowboats, and a fire pit. Each individual cottage has its own charm and the grounds are always well groomed and landscaped. They're also incredibly family-friendly and suitable for children of all ages. Depe Dene can be found just minutes north of the Village. Their 11 acres of property include a number of accommodation options including Adirondack-style cottages, townhouses, beach suites, and more. All units include either a balcony, a deck, a porch, or a patio. If you're looking for a place close to the water, Depe Dene offers over 700 feet of lakefront property and nearly 300 feet of beachfront property. Boat docks are available for guest use, along with kayaks, canoes, rowboats, and paddle boats. Antigua Resort is located in a unique spot on Plum Point on the eastern side of Lake George. Spend the day on their 700-foot private sandy beach, and then stick around for nightly bonfires when the sun goes down! They also offer free use of canoes and rowboats, and they're located in a great spot for fishing, which you can enjoy right from their own docks and shoreline. This resort offers several different types of units for accommodations, including Jacuzzi and whirlpool suites, lakeside suites, and bayside suites. They also have a two-bedroom boathouse rental with a balcony overlooking the lake. Canoe Island Lodge in Diamond Point is the perfect size - not too small, and not too large, accommodating 175 guests. This allows them to provide the personalized attention each guest deserves, while still being big enough to encompass a variety of activities, a varied menu, and spacious quarters. 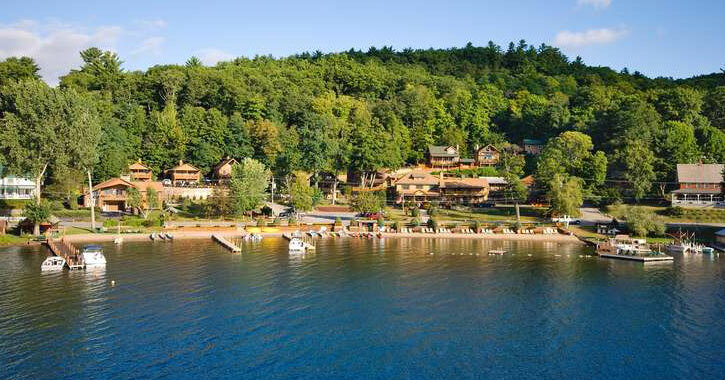 This private resort offers cabins and motel rooms, a sandy beach, sailing, lake cruises, water skiing, tennis, basketball, volleyball, and so much more. 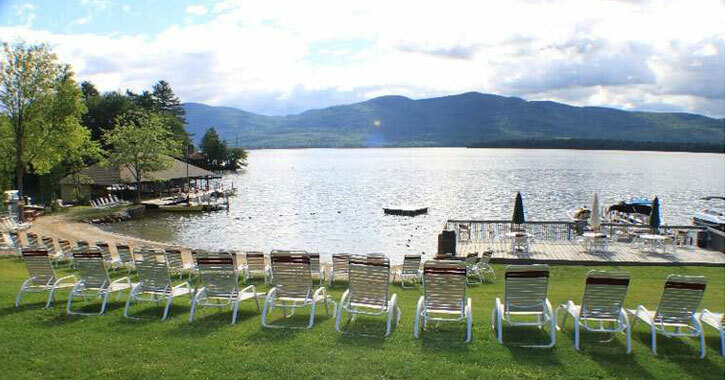 Capri Village Resort & Motel in Diamond Point has one of the largest private lakefronts on Lake George! Play on the sandy beach, swim in the pristine water, make use of their complimentary kayaks or other watercraft, or fish right off their private docks. They also have a large heated pool, playgrounds, lawn games, and picnic areas with grills. This is an ideal resort for a family vacation, and they can cater to any size family with five types of accommodations: single king bed motels, one and two room motels with two beds, one and two room efficiency units, and one and two bedroom housekeeping units. Rooms as close as two feet from the water, incredible views of the Adirondack mountains, and water-based activities free of charge? Yes please! 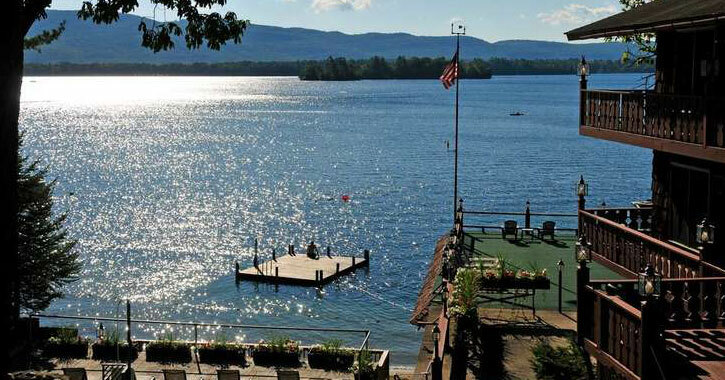 Chelka Lodge in Diamond Point includes up to 15 motel and efficiency units located right on the shore of Lake George, and you can make use of a number of activities they offer, such as stand up paddleboarding, kayaking, canoeing, and swimming. 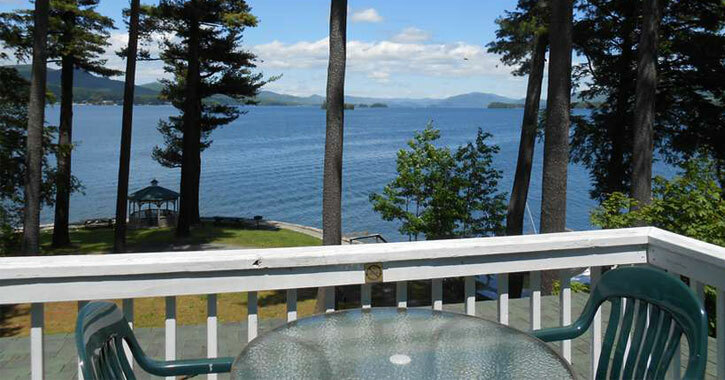 Because they only have 15 units, you can be assured a peaceful, uncrowded Lake George vacation. And, each unit overlooks the beach, so you're gauranteed a waterfront view. Blue Water Manor in Bolton Landing is just steps away from the lake. 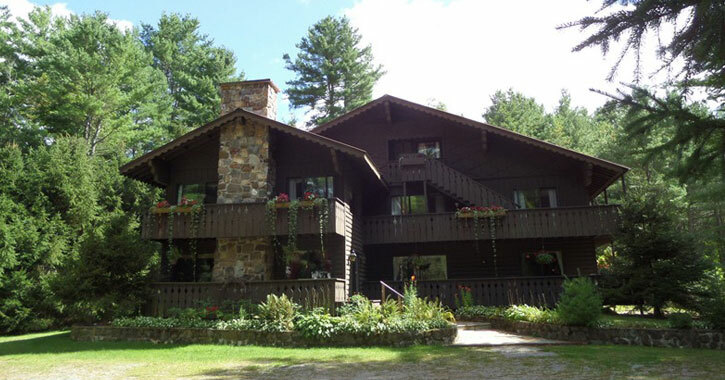 Choose from a variety of Adirondack-style lodging, including cottages, cabins, or suites. They also offer a number of complimentary water activities with kayaking, canoeing, and paddle boats. After a long day of activities on the lake - or perhaps just relaxing! - grab a bite to eat at their on-site tavern, Tavern on the Lake. Enjoy those great lakeside views with great food and a cocktail! Melody Manor in Bolton Landing is just a 15- or 20-minute drive from the Village and is situated in Huddle Bay with 300 feet of lakefront property. If you stay here you'll get to make use of their private beach along with kayaks, rowboats, or paddleboats, and there is dock space for you to bring your own boat. 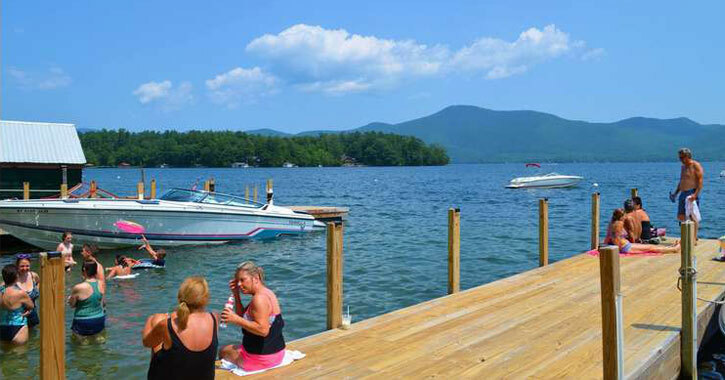 The resort rooms offer lakefront accommodations with private balconies, so if you're looking for a room with a view right on Lake George, this could be an excellent choice! 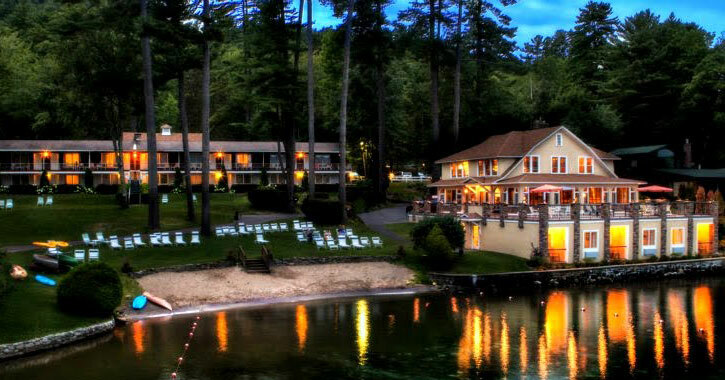 You'll find the Northern Lake George Resort in Silver Bay, about 40 minutes north of Lake George. This resort is one of the best kept secrets of the area, with a beautiful waterfront and view of the Adirondack mountains. They have a historic lodge built in 1887, a rustic motel, and villa units you can choose from. They offer use of rowboats, canoes, and kayaks, along with a private swimming area and private docking spaces for your boat. In addition, you won't have to travel far for a fantastic meal - dine on-site at Martucci's! Looking to get away with the family and vacation in style? 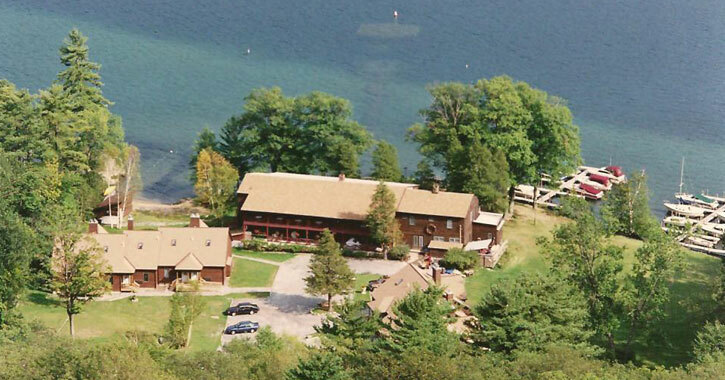 Try the Silver Bay YMCA Conference & Family Retreat Center! This 700-acre waterfront property can be found in Silver Bay, just over half an hour from Lake George. They offer a number of lodging options, from Bayview Lodge, named for its picturesque views of Silver Bay, to Hilltop, a spacious lodge ideal for small groups. This retreat center is a perfect choice for a family reunion as they can accommodate larger groups. For instance, you might opt to spend your stay at their Hemlock option, which has rooms that open to the outside and can sleep up to 72 people. Did you know you can stay at a real ranch in the Lake George area? You can if you opt for Ridin-Hy Ranch Resort in Warrensburg! This 700-acre ranch is a great choice for a family vacation spot with activities going on all year long. In the spring, you can take part in horseback riding, banana boating, paddleboating, horseshoes, campfires, outdoor movie nights, and more. In the winter, try cross-country skiing, snowmobiling, or other winter-centric activities. 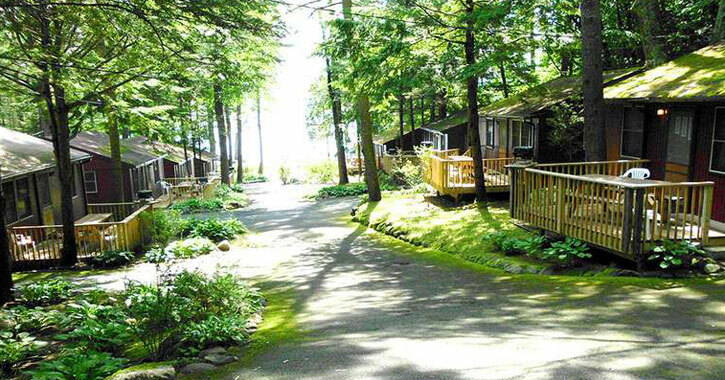 The Adirondack-style accommodations include a variety of cabins, motel-style buildings, and a lake house. 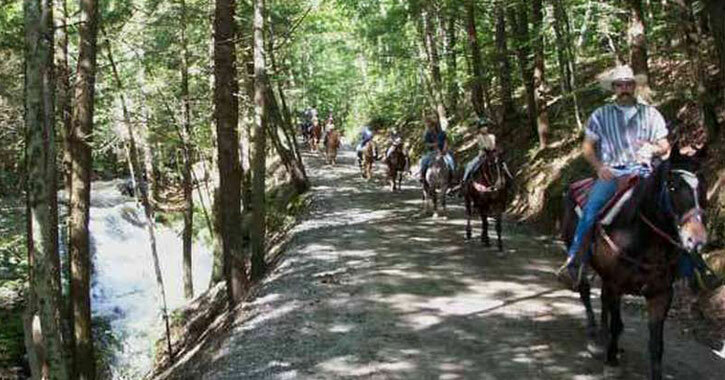 All lodging options are within walking distance of the beach, pool, main lodge, and the horses. You'll find Trout House Village Resort on the northern shores of Lake George in Hague with exceptional handcrafted log cabins and cottages as well as a nine-bedroom country inn. 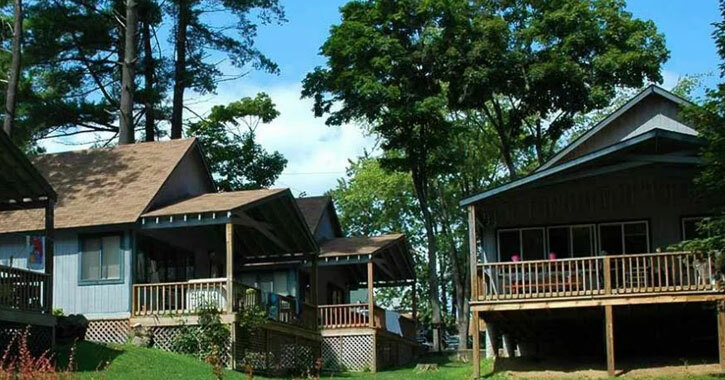 The cabins are spacious, the kitchens are fully equipped, and there are grills and picnic tables outside. And, you can take advantage of rowboats, canoes, kayaks, paddle boats, and sailboats on the 400-foot sandy beach. 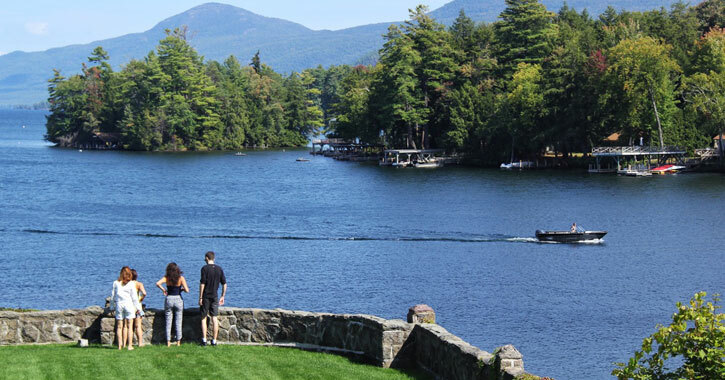 This is the perfect place to bask in all that Lake George has to offer. It's not just a gorgeous setting right on the lake: accommodations are top notch, the attention to detail is on point, and the cabins and grounds are all impeccably kept. The Lodge at Harrisburg Lake is located in Stony Creek, just about 45 minutes west of Lake George, so this is a great option if you're looking for more of an off the beaten path, Adirondack getaway. This is also an ideal choice if you're hoping to take your furry friend with you - they're pet-friendly! The property includes a lodge to stay in as well as log-style chalets to rent, and they have numerous on-site amenities to kick your visit up a notch: a pool, a beach, free boats at your disposal, a game room, and there are plenty of games and recreational opportunities with volleyball, tennis, basketball, shuffleboard, hiking trails, and more. The next time you're looking to visit Lake George, remember to book direct if you're choosing one of these tempting options! Simply make your reservation with the resort or lodging business directly and get ready for a fantastic vacation.